Bushnell has put together an exceptionally lightweight and bright lantern with a max output rating of 200 lumens. I quickly realized it is just enough light for around-the-camp use. The lantern uses Cree LEDs and has an interesting light pattern, as it shoots the light up and out. Using it setup on on the ground, I often found myself being blinded as my eyes moved past the lantern. When setting up camp late into the evening, I do like the dispersed lighting it provides, which helps make setting up tents in the dark, a breeze. The lantern does have different modes to meet your lighting requirements; full power, dimmed power, a ground light and a “red halo” mode to help preserve your night vision. The lantern uses three legs to provide stability which lock in either the upright or down position. 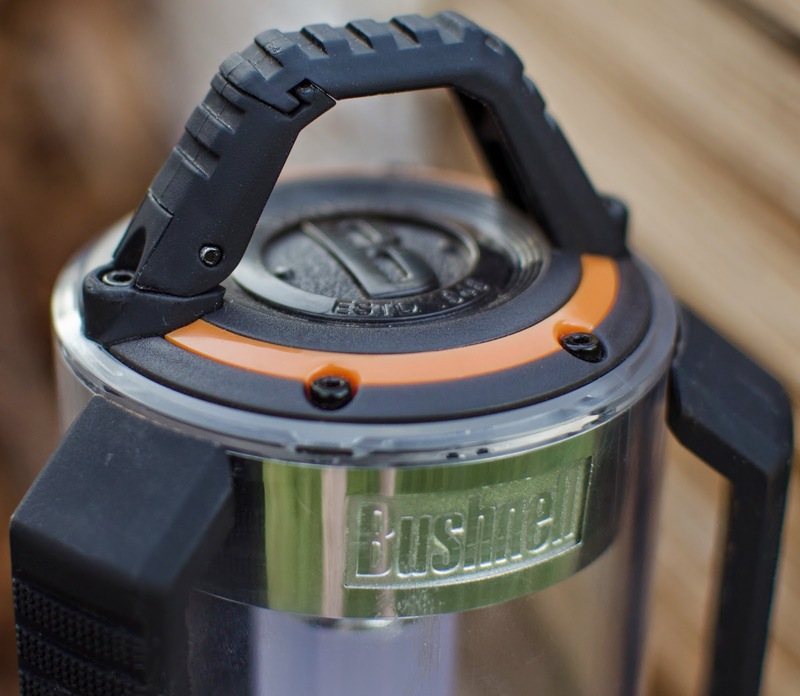 Along with the legs, Bushnell incorporated a carabiner hook at the top of the lantern. These two features allow the lantern to be versatile, as you can have the light hang from an awning or the ceiling of your tent. 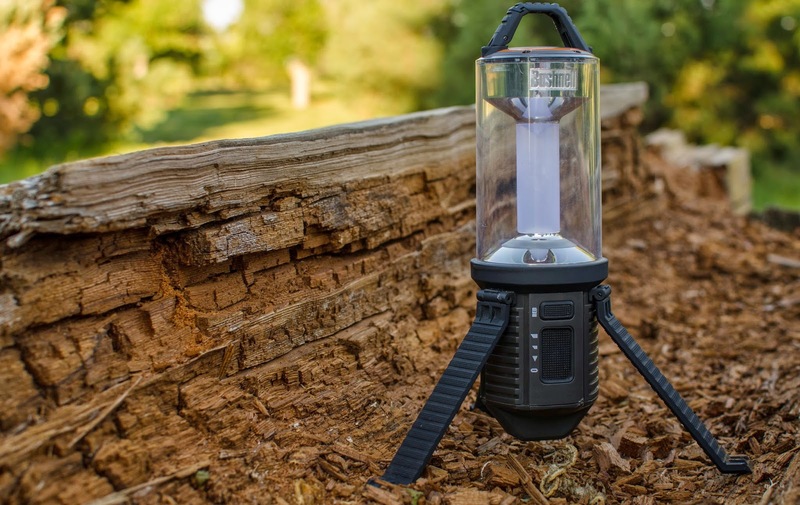 The legs help stabilize the lantern on uneven terrain while raising the light for decent coverage. 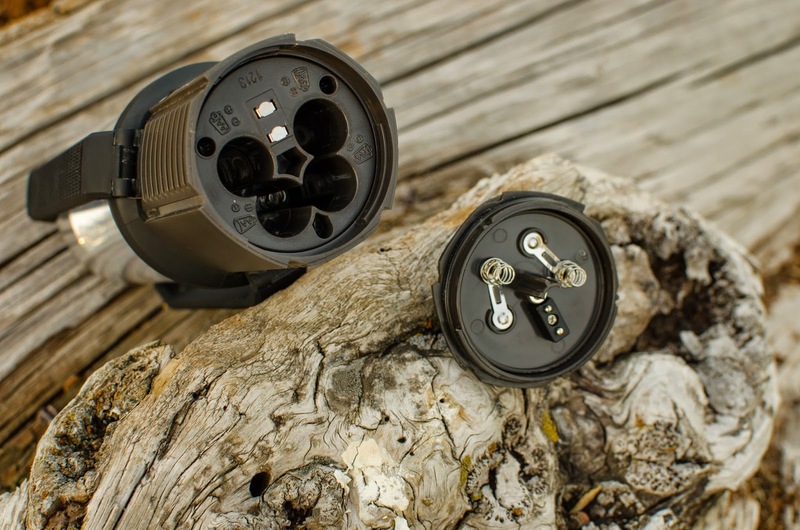 The light is IPX4 rated which means, when it comes to water, its electrical components are splash resistant. Having tested the light through out Arizona, Utah and Wyoming this summer, I feel the light has been subject to a diverse environments and have noticed a few faults. Playing in the deserts of Utah I noticed the sandy terrain took its toll on the clear plastic as it easily became scratched. For some reason my lantern acquired an electrical short which randomly causes the light to flicker and sometimes not turn on at all. Pulling the batteries or a few taps with the palm of my hand usually fixed the issue. This could be a fluke or perhaps the heavy use its seen, has taken its toll. To me this was surprising as Bushnell products are held to quite high standards. Bushnell has requested the unit be shipped back to them for evaluation, I think we are getting a reputation as 'The Equipment Torture Team'! They have not heard of others encountering the same flickering and wish to have their team diagnose the problem! They said they were committed to developing quality outdoor products and want to make sure the issue we found isn't a design flaw. Stay tuned for further reports. Disclosure of Material Connection: I received the A200L Compact Lantern for free from Bushnell in consideration for review publication.